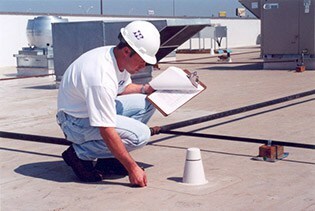 Alta has an entire division dedicated ONLY to repairing and maintaining your roofs. Overseen by Customer Service Manager- Rick Scott, Alta has a team of highly experienced professional repair technicians and inspectors ready to service our customers. Many roofing companies are “re-roofing” companies; Alta is your one stop Repair, Maintenance and Re-Roof company. If you’ve ever had a leak that another roofing company responded to, you’ve probably heard something along the lines of “your roof is bad, you need a new roof.” This is because most roofing companies don’t want to invest the time to figure out how much life your roof has left and they usually don’t like doing repair work either. Alta is different, there is a good likelihood that your problems can be solved with a simple leak repair or some basic maintenance. We also understand that in this economic environment you may not be ready for a re-roof, even if it is needed. We can fix 95%+ of your leaks and help extend the life of your roof by years. Whether you have an old gravel roof, a brand new tile or shingle roof or even a leaky patio, our expert inspectors and technicians have you covered. Water intrusion can come from just about any point in the building envelope and the key to finding it is understanding how water flows and what causes leaks. Our leak inspectors have an average of 20 years of experience with water intrusion investigations and maintain a very high success rate in finding and stopping leaks. Our roof repair crews are run by expert foremen who are versed in all roofing and waterproofing systems. Whatever is leaking, they can fix it. The most basic, and often overlooked, roof maintenance issue is roof cleaning. 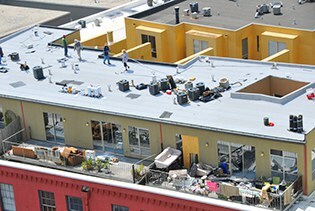 Many roofs need to be cleaned yearly, or even multiple times each year. Many roof problems during the rainy season can be eliminated simply by cleaning roofs and clearing the waterways. Without regular cleaning, roof drains may clog up, causing water to back up. When water backs up, it will always find another way to travel. Cleaning your roof before the drains get clog can save you thousands of dollars in potential plumbing bills and interior repairs. 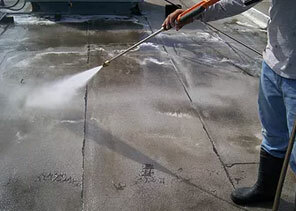 Alta offers both roof and gutter cleaning services tailored to fit your needs. Did you know that roof warranties require regular, routine maintenance? Roof maintenance is key to increasing the longevity of your roofing system. Although roof materials such as shingles and built-up membranes have long life-expectancy, the sealants used at penetrations do not. Traditional mastic sealants, which are the most commonly used only have a 1-2 year lifespan if installed correctly. Mastic installed incorrectly may begin cracking in as few as 2-3 months. Periodic roof maintenance is needed to replace these sealants and monitor your roof system to catch any other issues before they compromise the roof system. Alta can provide a one-time maintenance service or an on-going maintenance program for 5-10 years. Do you need roof repair or maintenance? We can fix 95%+ of your leaks and help extend the life of your roof by years.